As most of you might know by now, VMware is moving away from SOAP and going to REST API. Is this something you should know about? Yes, you should! In a two-part article on TechGenix, I wrote down my thoughts and observations on REST API. The article goes into what this move towards the REST API might mean for you as a scripter/administrator. Since an article on coding, without a coding example doesn’t make much sense, I added a module, named rCisTag on the PowerCLI Examples repository. 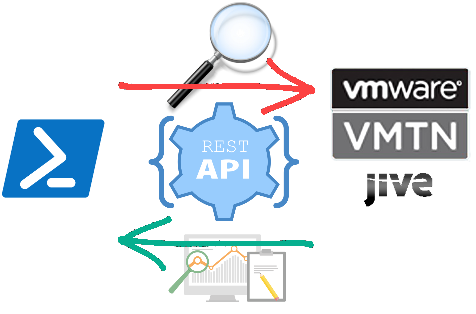 Enjoy reading Part 1, Understanding the VMware REST API interface! 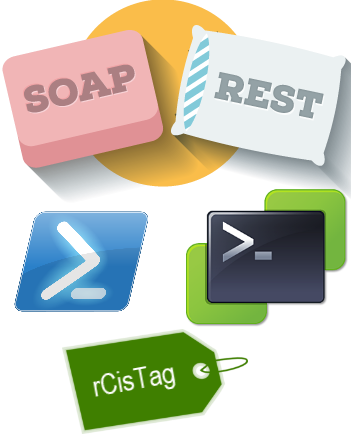 and Part 2, SOAP vs REST for performing tasks in VMware environments. This post introduces the first set of example PowerShell scripts that use the Ravello PowerShell module to automate your Ravello Systems environment. The examples serve primarily to demonstrate the use of the Ravello module cmdlets. But also how easy it is to automate your Ravello environment with the help of the Ravello PowerShell module. Note that the examples directory is introduced in v1.1.2.4 of the Ravello PowerShell module. The Restful API offered by Ravello Systems was upgraded to v1.1 recently. This upgrade introduced quite some new, interesting features. As a consequence, the PowerShell module I published earlier, see my Ravello PowerShell Module post, needed an update. Here is my Ravello PowerShell module v1.1 ! The new Restful API offered by Ravello Systems, comes with a completely overhauled and slick REST API reference. Update 24th January 2016: now also available on the PowerShell Gallery for Windows 10 and WMF 5 users. The first time I heard about Ravello Systems and their solution was way back in August 2013. Through pointers in blogs posts by Duncan (here) and William (here), I found an early research paper which explained what the HVX platform was all about. Needless to say I was very interested ! When Ravello Systems announced a beta for their Inception solution in April 2015, I was game. After a 2 week trial, I took a subscription. In June 2015 they also announced free access for vExperts (1000 CPU hours per month). And to top it off, I witnessed an excellent presentation during Virtualization Field Day 5 in June 2015 in Boston. One aspect of the Ravello Systems solution that immediately captured my attention, was the availability of a REST API, that offers all the functionality that is available through their Web Gui, and more. While a Web Gui might be nice, for automation purposes that will not really work. That’s when I decided to start writing a Ravello PowerShell module based on the REST API.